My first foray into Six on Saturday. We had some rain, more than welcome after such a long time, and so there is the novelty of photos of plants with droplets of water on them. 1. A type of cotyledon, orbiculata I think, given to me as a cutting by a friend. 3. The very first fruit on my Black Genoa fig tree. 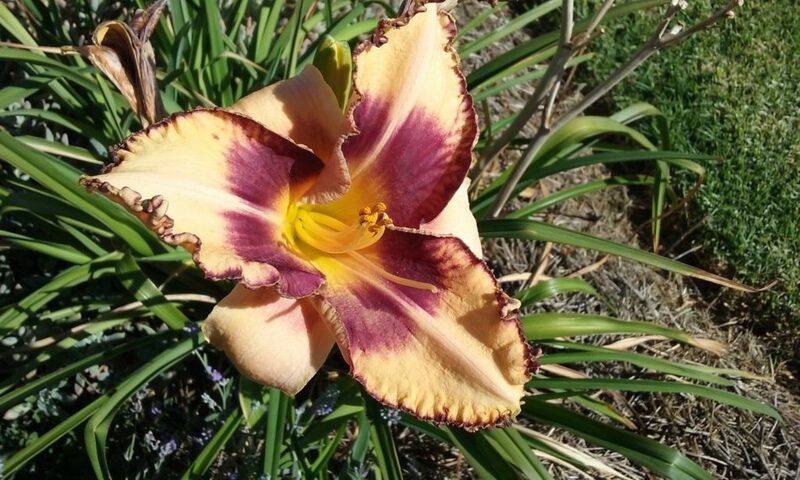 The Daylily colour is gorgeous. I don’t think I’ve seen one with that particular shade of pinkish/mauve in the centre. 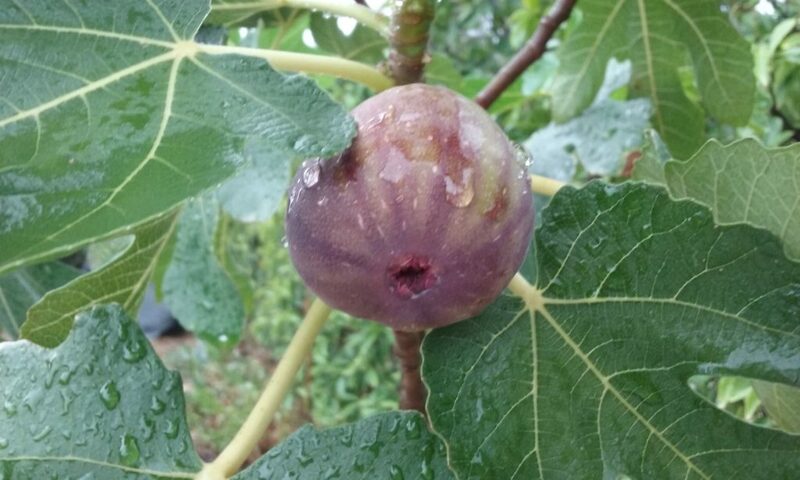 Lucky you to have a fig tree – figs are so expensive to buy in the shops. I only had one of the purple Adriatic, but I saved quite a lot on the other one, the one with no name, after I netted it. They were delicious! The flowers on the sedum are spectacular. Not too long now, Fred! How cheery it is to contemplate your sunny summer blooms when our gardens have disappeared under snow. I love the butterfly. And luscious figs too! Oh, it won’t belong before I’ll be looking enviously at photos of your glorious burgeoning spring flowers! It’s great to have a contributor on board from the southern hemisphere to remind us that the sun is still out there somewhere. Does the cotyledon survive your winter or do you give it protection? We’re reeling here from two or three days of minus 4 or 5, the Americans probably think that’s Fahrenheit. Your harsh is at the high end I guess. Thanks Jim. 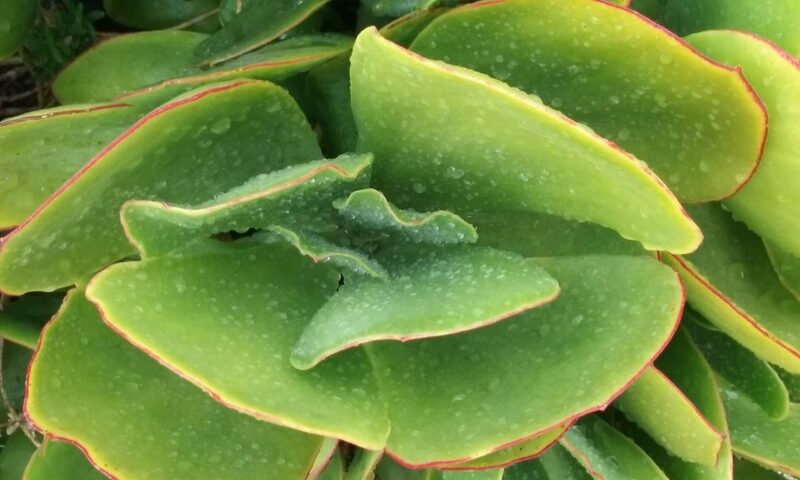 The cotyledon does get a bit nipped by the frost but I don’t cover it. I am in the Central Tablelands of NSW and we can get heavy frosts. The coldest ever was -7.7, but -2 or -3 is more usual during July and August. Very, very nice Six! 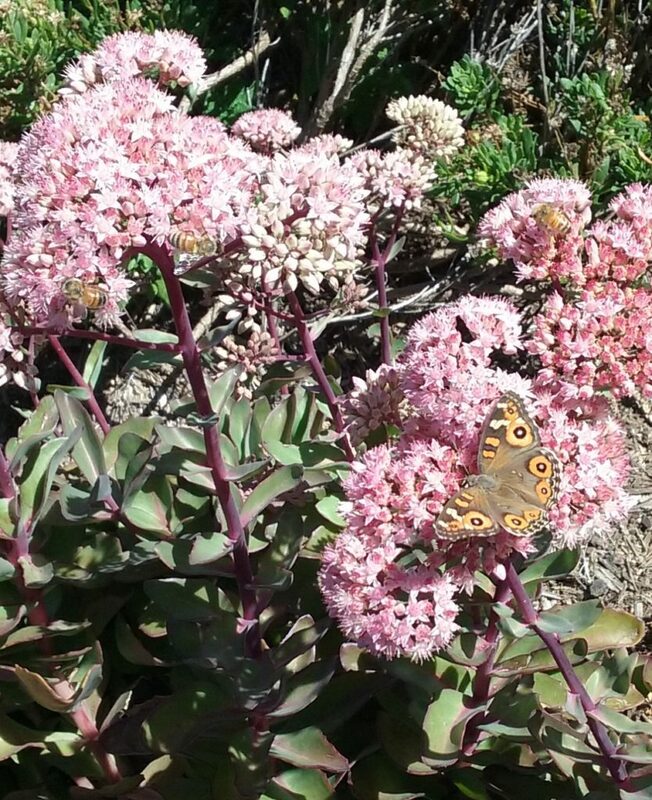 Gorgeous photos, especially the fig and the butterfly on Sedum. Thanks! I waited ages to properly catch a photo of that butterfly with its wings open. Welcome to the gang! Delighted to have a Six post from a resident antipodean. We have had visitors before but not a local gardener Hope to see you again soon, it will be great to see your garden in later summer as out spring gets going. Soon. We hope. Your gig looks delicious. We have a large fig tree but for the last two years since we moved in the figs have dropped off before ripening. Maybe I have to accept we don’t have the right climate! Yes, figs do like a warm summer although I read that there are some cultivars that can withstand colder temperatures. Thank you….it was taken with my very inexpensive phone! 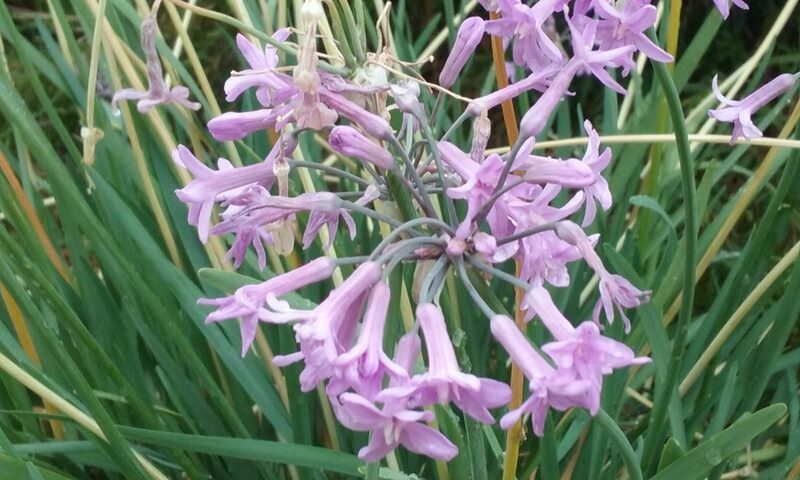 #5 Allium head does look new to me, I think I dont come across on my neighbors… Thank you for sharing! Like the others who’ve had snow, it was wonderful to see summer plants. And since I’m reading this before breakfast, that fig is my favourite.